Graphics sure have come a long way. 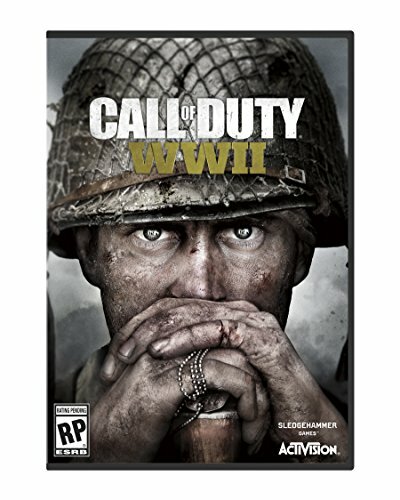 In our review I referred to Call of Duty: WWII as a “Greatest Hits Collection” of past World War II video games. And of course, the highlight is D-Day—the most notorious World War II video game level ever since 2002’s Medal of Honor: Allied Assault. So we decided to compare the two Normandy recreations. We grabbed a copy of Allied Assault from GOG.com and enlisted. Or...well, actually we grabbed a copy from GOG.com, then spent 30-odd minutes trying to get a config file to output native 1080p resolution correctly. But hey, at least it ran on Windows 10. As it turns out I’d also misremembered—the Omaha Beach level in Allied Assault was actually the third mission, not the opener. (It was the opener in the console equivalent of Allied Assault, the PS2 game Medal of Honor: Frontlines.) It also turns out that Allied Assault is pretty damn hard to go back to, 15 years later. But we tried. We died, and died often, but we tried to show off a bit of what Omaha Beach looked like in 2002 versus 2017. Our worst enemy: Hedgehogs that don’t look like they should protect you from incoming German machine gun fire, but surprisingly do. Also, not knowing where the hell the Bangalores are located. To save time we also stole someone’s Omaha Beach save from the internet. There was no indication which difficulty the save was on, which may also be responsible for us being shredded to bits by machine gun fire. Either that or Allied Assault is even more unforgiving than I remember. Anyway, highlights include: A D-Day landing that is six or seven boats full of polygonal triangle-soldiers, fake Tom Hanks, the aforementioned Bangalore bungle, and then a look at what Omaha Beach looks like 15 years later courtesy of Call of Duty: WWII ($60 on Amazon). Graphics sure have come a long way.